I decided that I wanted to make a list of 100 superhero movies that I thought were the essentials, the ones that everyone needs to see at one point in time if they want to be a fully fledged superhero movie afficionado, and while I am having guest bloggers this month help me fill out the list, there are many much more obvious choices that were easy to make and I’m here to share some of those with you. I started these lists off with Superman and now it’s time to take a look at the other side of the DC coin and the superhero who has the most movies under his belt and that is Batman. Aside from the Batman serials, this is the first full length Batman movie shown in theaters. And just like the first Superman movie, this was tied into the TV series. Though instead of this being an extended pilot, it was a bridge between the first and second seasons and an excuse to bump up the budget on a few things like a Batcopter which they could also re-use during the next season of the show. It’s essentially a ramped up episode of the show with a team up of four of the biggest supervillains fighting against Adam West’s campy Batman and Burt Ward’s Robin. Just remember, some days you can’t get rid of a bomb. 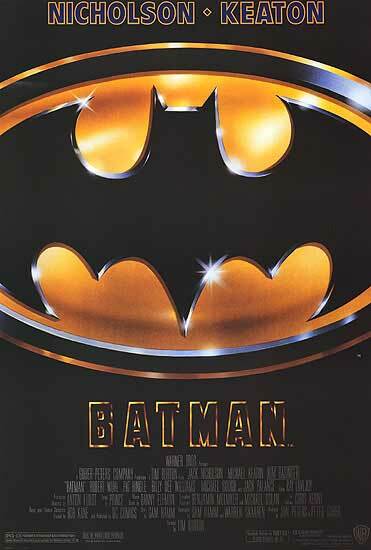 Also known as Tim Burton’s Batman, this was the start of the second age of superhero movies. This wasn’t the campy Adam West Batman anymore. While looking back on it now it looks pretty silly compared to today’s standards, this was a major step forward towards a more serious take on a superhero property. The action was bigger, the look was very gothic and dramatic, and it felt a lot more true to the comic books from that era which had gotten much darker and more for adults than kids. For years, Jack Nicholson’s Joker would be the iconic role most tied to a superhero movie, and his death at the end was one of the creepiest things ever. There were still some liberties taken with the character, but it proved at the time that superheroes were viable on the big screen and could be taken seriously. And with the success of the first Batman under his belt, Tim Burton could bring much more of his own style for the sequel, focusing on some of the darker characters and putting his own extra-gothic spin. Whether it’s Michele Pfeiffer having her blood licked up by alley cats, or Oswald Cobblepot eating a raw fish and living in the sewers, or the fact that it’s set at Christmas for no real reason. It’s still my favorite of the first four Batman movies as it has such great character dynamics between Bruce Wayne, Selina Kyle, and Oswald Cobblepot. Two villains that don’t initially make much sense to be a team, but it works so well in this movie, as does the great set design and visuals that make Gotham City feel like another world. So much so that I can forgive those remote controlled penguins. What some people may not know is that before Batman Returns, there was a Batman movie that got a limited theatrical release. It was based on what many still consider the best representation of Batman in any non-comic book media, the 90’s Batman: The Animated Series, and it was called Mask of the Phantasm. Unfortunately, it’s one of those very few movies that I have not gotten around to catching up on myself, but I was a huge fan of the animated series and everything I’ve heard about this movie is that it takes everything that is great about the series and gets away with a more mature story than would be shown on afternoon TV. And while I still enjoy DC’s more recent animated movies, I still wish one would get a theatrical release like this one did. And this is where things start to go wrong in the live action Batman Universe. Some people have a soft spot for it, Jim Carrey as the Riddler, Tommy Lee Jones as Two-Face, the introduction of Chris O’Donnell as Robin, what’s not to love about it? Aside from the fact that Michael Keaton was replaced by Val Kilmer. 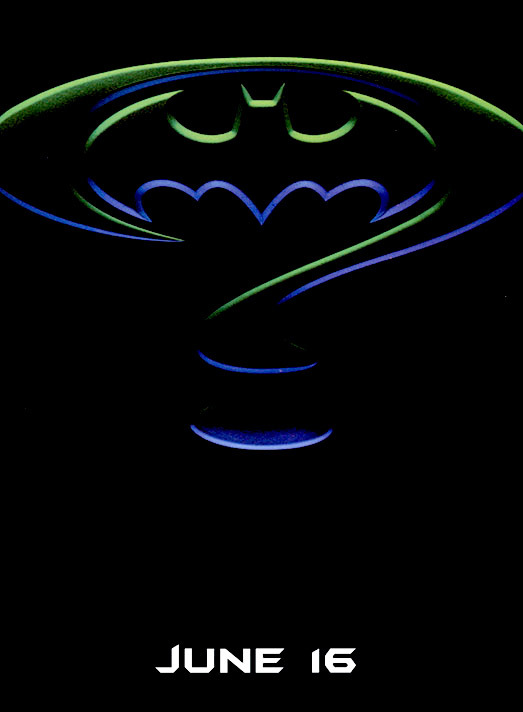 The gothic sensibilities of Tim Burton were replaced by the neon lights of Joel Schumacher. Things were getting bigger, but they weren’t getting better, though it did have a pretty good soundtrack. How could I not include this train wreck of a Batman movie. It’s essential to be able to learn from our mistakes and there is not a much bigger cinematic mistake than Batman and Robin. Arnold Schwarzenegger as a black light lit, pun spouting Mr. Freeze. Uma Thurman as another pun spouting, bizarrely dressed Poison Ivy. Bane reduced to a muscle-bound, brainless sidekick to Ivy. George Clooney as old Batman. Alfred dying from some random disease and the introduction of a random niece who happens to be a genius computer hacker, expert motorcycle racer, and expert martial artist? The set pieces in this movie are some of the grandest, yet most ridiculous looking things ever. It’s amazing when you think about how much money this movie grossed in the box office, yet it’s considered to be one of the worst superhero movies of all time. It’s something that must be watched at least once by any superhero fan. It took eight years for another live action Batman movie to mend the pieces left by Batman and Robin, but luckily Christopher Nolan knew what the Dark Knight needed and brought his full-on origin story to the big screen. While his parent’s death was visited in Tim Burton’s Batman, once it jumped back into the present, he was already a fully formed crimefighter. This movie explores his first year figuring out how one becomes a costumed vigilante on the streets of a big city. Nolan brought a realism that hasn’t been rivaled in many superhero movies before or since. Everything done in this movie feels plausible even though it is still larger than life. Christian Bale brought new life into the role even though he also brought the new joke of the Batman voice with him. 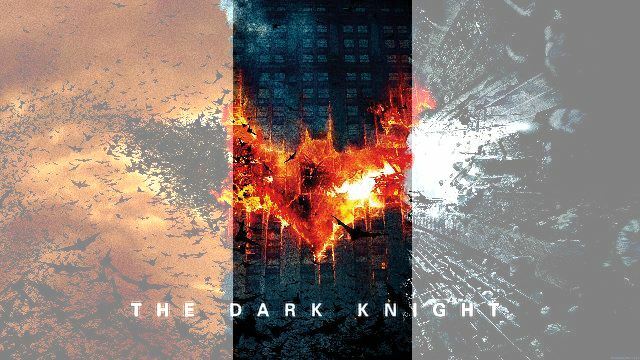 There aren’t many people who would argue that the Dark Knight is the best of the Christopher Nolan Batman trilogy. In fact, there aren’t many people who would argue that the Dark Knight is the best superhero film of all time. It took a psychotic and very eccentric portrayal by Heath Ledger to remove the memory of Jack Nicholson from the Joker. There are just so many things that this movie gets right. The action is ramped up, the stakes are raised, and there’s some big losses on both sides. It takes a hard look at the psychological aspect of the superhero and supervillain relationship as well as other questions like how far is too far, and you either die a hero or live long enough to see yourself become the villain. This was the one live action Batman movie that I considered leaving off of this list. It’s still a great movie, but it’s arguably the weakest of the Nolan trilogy. But since it is widely considered “The Nolan Trilogy”, I felt that I had to include it. This Batman brings in Catwoman and Bane played brilliantly by Anne Hathaway and Tom Hardy, and it also includes the pseudo-origin of Robin in Joseph Gordon-Levitt’s John Blake. The characters are all great, but the real weak point is all the plot holes. And while plot holes are something that can easily be forgivable in a lighthearted superhero movie, this is a trilogy that takes itself seriously and is rooted in as much realism as possible so those plot holes stand out a lot more than they would in other situations. It still wraps up the trilogy in a big way, but it felt like it got a little lost along the way. This is a bit of an experimental title from DC Animation. It brought a handful of noted Japanese Anime directors and let them direct a series of semi-connected short films about Batman set more or less around the timeline of the Dark Knight. Some of the shorts work better than others, and Marvel would go on to have several series done in an anime style, but this was the first time it was tried with a noted comic book superhero. I’m a fan of most of the shorts, but they are all quite different from each other. It’s a very interesting experiment to look back on, and there are some fun shorts in there as well. 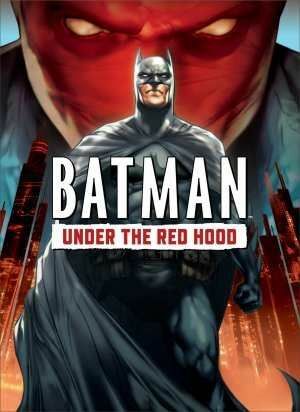 This is one of the best animated Batman movies out there, it surrounds the events of a masked vigilante who comes in and takes Batman’s turf only goes further with it. He goes in with the criminals, but kills any who cross him or don’t play by his rules. There’s a lot more mystery surrounding his appearance though and the movie does a great job at giving just enough to let the audience know what’s going on before the characters do. It’s also one of these animated movies that takes a very mature look at the character and something that would never be done on a TV cartoon show. This is the biggest DC Animation project to date. It was split into two parts and it takes on one of the most well known and well regarded storylines from the Batman comics next to the Killing Joke. While I thought the first half was a great setup, there’s so many amazing things going on in the second half that this jumped to being one of my favorite superhero movies of all time bar none. From the tunnel of love confrontation with the Joker to the all out brawl between Batman and Superman, there’s a reason that this story is also supposedly inspiration for the next live action movie Batman v Superman: Dawn of Justice, and this animation gets the story right. One thing that I wanted to include somewhere on this list is a documentary. 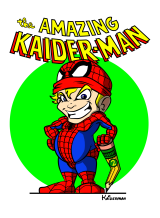 There are a handful out there discussing the real life superhero movement, or interviews with Stan Lee and other comic creators, or ones taking a look at comics and comic culture in general, even one based around the people that dress up as superheroes on Hollywood Boulevard for pictures and tips. But the one documentary that I think really captures the essence of what superheroes mean is this one. It takes a look into the lives of several different people who view the mythos of Batman as an inspiration to make themselves better in some way, whether it’s to help them overcome their own disability or disease, or whether it’s to help other people in their own ways. It’s a beautiful look at how superheroes, specifically Batman, inspire us as a people and it’s worth watching for anyone. The final Batman movie on this list is also one of the oddest. It was originally a video game whose cutscenes were pulled together, some filler animation was used to tie up loose ends, and was released as a movie. This is a movie that knows the right way to do a parody. There are so many nice references to all of the earlier versions of Batman and it’s all fully set in the world of Lego. It’s hard not to fall in love with this movie the way that the country fell in love with the Lego Movie earlier this year, though this movie never pulls on the heart strings in the same way, but it does do everything else just right. Not much, honestly. There are a few of the other animated Batman movies that I decided weren’t quite as good as the ones I did include, like Year One, Batman Beyond: Return of the Joker, or The Batman vs. Dracula. And of course I didn’t include any of the earlier theatrical serials, but I feel like every one of these Batman movies are essential to be included in any list of superhero movies. The good ones are amazing, and the bad ones are important lessons while still being massive box office successes. Next week I’ll be taking a look at some of Marvel’s earlier works before they started their own cinematic universe. Until next time, this has been Bubbawheat for Flights, Tights, and Movie Nights. Posted on May 25, 2014, in Blogs, Lists and tagged batman, Blog, DC, film, list, movies, superheroes. Bookmark the permalink. 12 Comments. Batman Begins is my favorite of the Nolan Trilogy. Then again, Val Kilmer is my favorite Bruce Wayne, so what do I know about quality? At least you’re honest with yourself about it. And most people that claim Batman Begins as their favorite also concede that the Dark Knight is still the best. I finally watched the Tim Burton Batman films last year and really liked them. Not so much for Batman himself, but his surroundings and the general, fun atmosphere. Didn’t like Batman Forever that much though. Sadly, I don’t remember Batman Returns and The Dark Knight much, it’s one of those things I desperately need to revisit!! 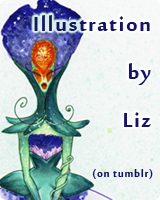 By the way, I really appreciate your project. Glad to hear it! This project has been a lot more work than I initially expected it to be, but I think it’s been worth it, I’m excited to see what people think of the final list. Batman Returns is my favorite of the first four possibly because it focuses as much, if not more, on the villains rather than Batman, since the villains are usually more interesting than the Dark Knight himself. I hear ya, still a couple years away for the pre-JLA movie though. Love both Burton Batman movies very much. Glad you included The dark Knight Returns here! Also, BB is my favorite of the Nolan films but, yeah, TDK is a better movie. Good picks! Really enjoyed this post, Bubbawheat. Thanks, I enjoyed writing it quite a bit too. I agree with all of these making the list (except the non-theatrical animated films, which I can’t weigh in on), though sometimes I disagree on the reasons. Still, I think they’re important for their value as discussion points, and I agree that “Rises” is a weaker film than the other two in Nolan’s trilogy. My big point of contention, and I know we’ll have to agree to disagree on this, is Batman Returns. It’s easily my least-favorite of the live-action films. I feel that Burton took his take on things to the point of excess with it, and that he completely mutilated the persona of the Penguin. I was still fairly young when I saw it, but I was severely disappointed with it. The Schumacher films have their flaws — boy, howdy, do they have their flaws — but they were at least enjoyable in a campy way. I would suggest that you check out at least the animated films I mention here, they are the best ones in my opinion. I also understand your opinion on the Burton/Schumacher films and I think you’re right that we’ll have to agree to disagree. I enjoy Burton’s style and I don’t enjoy Schumacher’s style of camp.